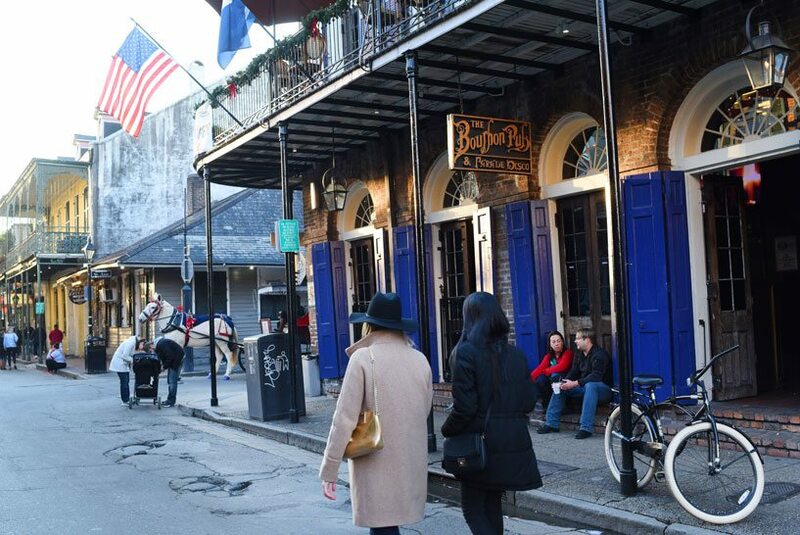 The 13-block of Bourbon Street stretches from Canal Street to Esplanade Avenue and is packed with bars, clubs and restaurants. There’s more to the most visited street in the French Quarter than neon signs and brightly colored drinks in gigantic souvenir cups. 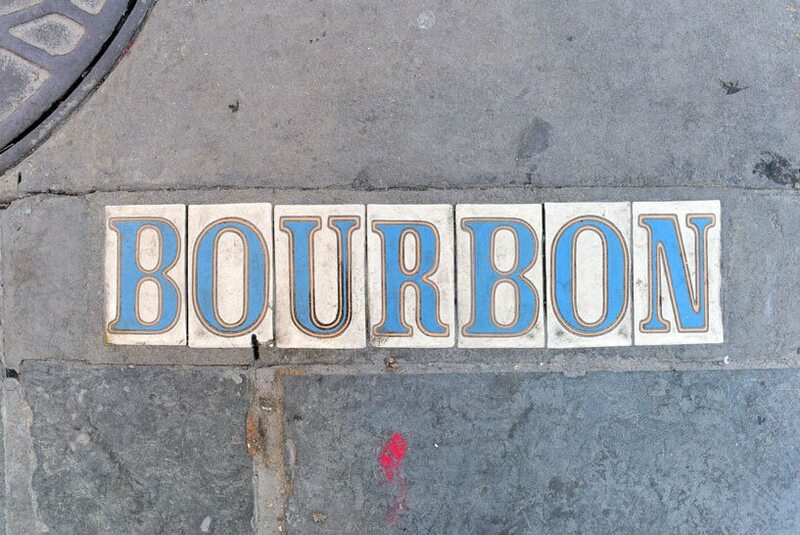 Bourbon Street is home to some of the oldest bars and best restaurants in New Orleans. And after the current renovation of the eight blocks of the Upper Bourbon (starting from Canal) is over it will be shinier and more walkable than ever. 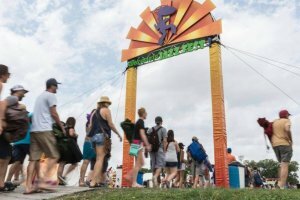 Whether you’re a visitor or a local, here are some suggestions for your bucket list. Bourbon Street’s culinary offerings are a mix of high and low, with some local flair thrown in. The two seafood restaurants run by the Brennan family that are located on Bourbon Street would be solid choices for all things Gulf seafood and oysters in particular. Red Fish Grill on the first block off Canal Street offers good happy hour deals and is child-friendly. Signature dishes include the restaurant’s popular take on jambalaya, the Creole jambalaya risotto; and double chocolate bread pudding. 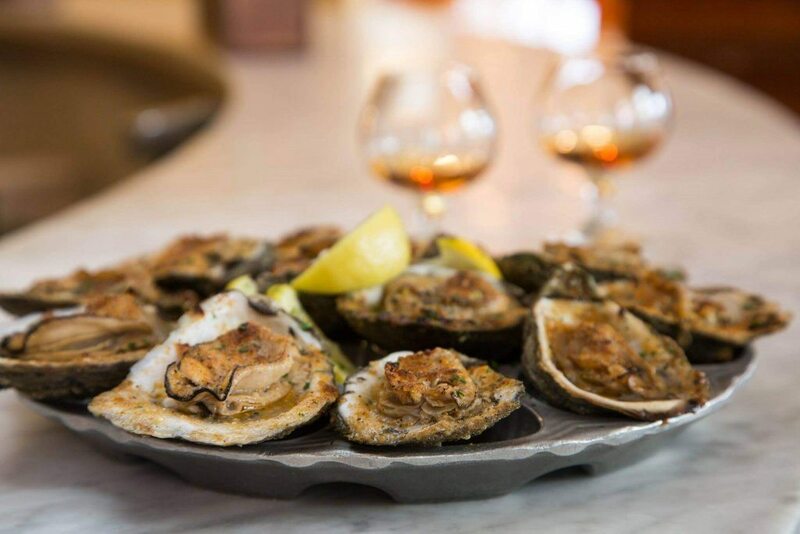 Brennan’s Bourbon House (on the same block) has an oyster bar and a large selection of small batch and single barrel bourbons. Want more oysters? The stylish Desire Oyster Bar (300 Bourbon Street) and the casual offshoot of Arnaud’s, the family-friendly Remoulade (309 Bourbon Street), both have oyster bars and the classic New Orleans menu of po-boys, gumbo and jambalaya. For the pub grub and fast food, anything on the breakfast menu plus those famous little square burgers on steamed buns at the fast-food chain Krystal (116 Bourbon Street) would serve you well. The retro diner Clover Grill (900 Bourbon Street) has a huge breakfast menu and only-in-the-Quarter ambiance. Both are 24/7. The specialty burgers at Bayou Burger & Sports Company (503 Bourbon Street) are made with shrimp, alligator and venison, and topped with fried pickles and pulled pork. 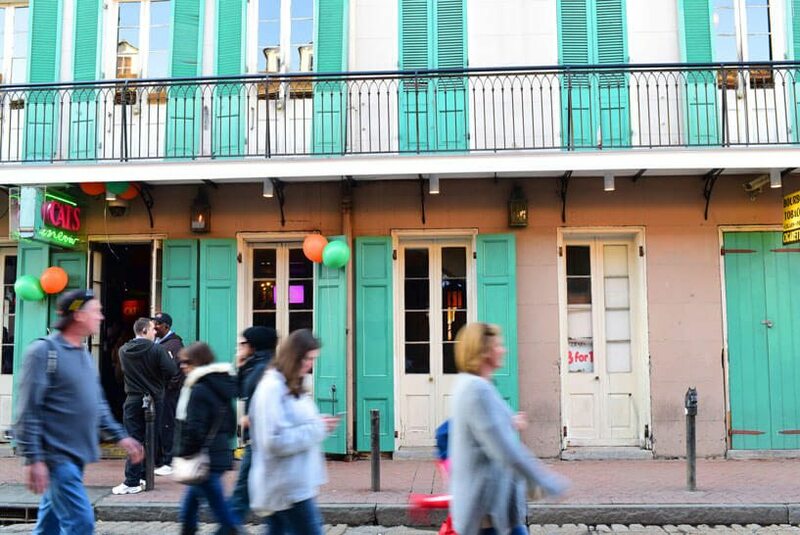 For balcony dining with a view of the French Quarter, head to Cornet (700 Bourbon Street) or Pier 424 Seafood Market Restaurant (424 Bourbon Street). 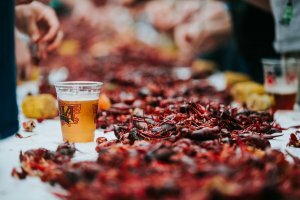 Both restaurants serve traditional Cajun and Creole fare and have samplers that include gumbo, crawfish etouffee, and other local favorites. If you’re going to try just one restaurant on Bourbon St., make it Galatoire’s (209 Bourbon Street). This fine-dining institution should be on everyone’s New Orleans bucket list. Since its opening in 1905 generations of New Orleanians have been lining up for the Creole classics like crabmeat maison, duck crepes, foie gras, and turtle soup. Galatoire’s old-world, decadent ambiance is something to experience. The Old Absinthe House (240 Bourbon Street) dates to 1806 and has hosted its share of famous patrons, including Oscar Wilde and Franklin Roosevelt. Sidle up to the classic copper bar and have one of the potent signature absinthe cocktails. Enjoy the old-fashioned yet quirky saloon ambiance. Having one of those is pretty much a must if you’re hanging out on Bourbon Street, so do it right by going to the source. 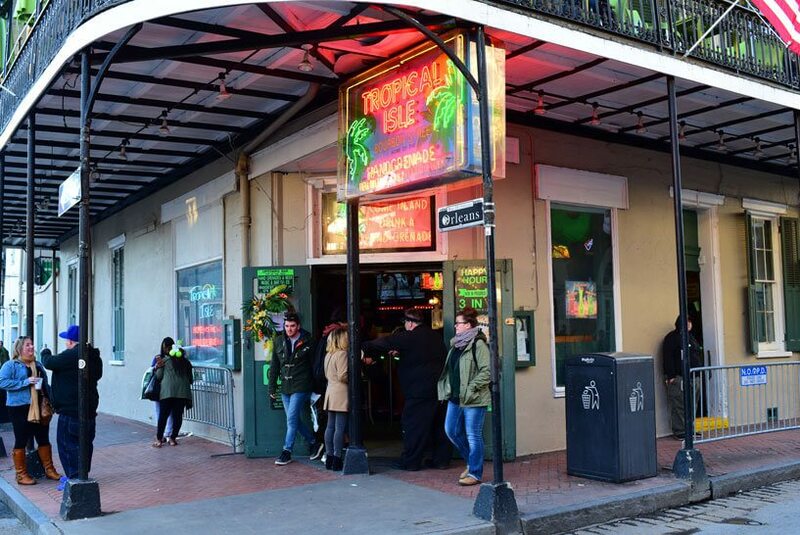 Sip your Hurricane in Pat O’Brien’s courtyard (624 Bourbon Street), and make sure your Hand Grenade comes from one of the Tropical Isle locations on Bourbon Street (435, 600, 610, 721, 727 Bourbon Street). The Bourbon & Orleans location has one of the largest balconies with a view of St. Louis Cathedral (you may have seen it on TV because it’s often used for live broadcasts). Lafitte’s Blacksmith Shop (941 Bourbon Street) is a must-stop, period. Housed in a Creole cottage on the corner of Bourbon and St. Philip streets, it was built between 1722 and 1732, making it one of the oldest structures used as a bar in the U.S. Legends swirled for centuries that this location was used by the infamous Lafitte Brothers, Jean and Pierre, as a base for their privateer operation in Barataria. The bar has a unique ambiance and is popular with locals and visitors alike. If you’re feeling brave try the signature drink called Purple Drank, a frozen daiquiri concoction. 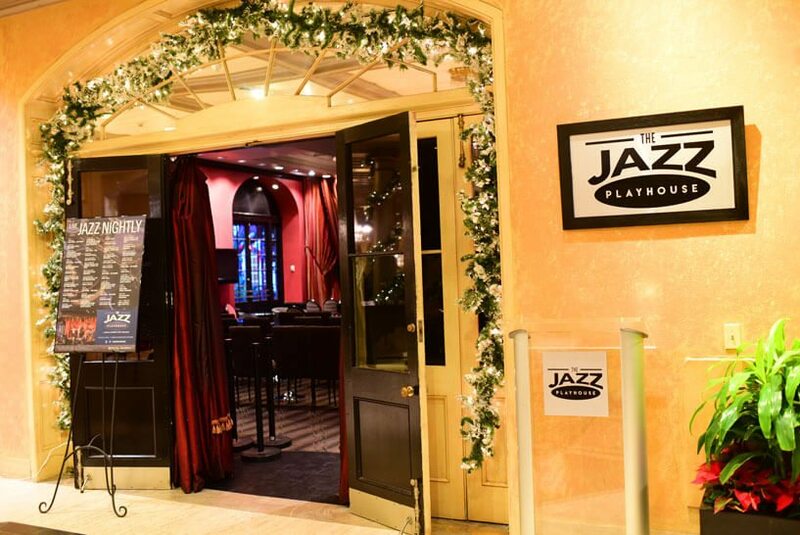 If you want straight up jazz, the Jazz Playhouse at 300 Bourbon Street is a reliable choice. The nightly shows begin 8 p.m.
Musical Legends Park (311 Bourbon Street) also hosts live music shows among its life-size bronze statues of local musical legends like Louis Prima, Allen Toussaint, Irma Thomas, Fats Domino, and others. While you’re at it, have some beignets and cafe au lait at the outside seating at Cafe Beignet inside the park. Maison Bourbon (641 Bourbon Street) is an old-school jazz club “dedicated to the preservation of jazz” (the outdoor sign says). Take in the gleaming bar, the brick walls and beamed ceilings. Also has a courtyard and a big balcony. Fritzel’s European Jazz Club (733 Bourbon Street) is another great spot for live jazz and Dixieland. It’s been around since 1969, and it’s reflected in the memorabilia and the black-and-white photos lining the walls. Seating is limited because the space is intimate, but there’s more seating outside in the back where you won’t be able to see the action but still hear it pretty well. Nightly shows start at 9 p.m. on weeknights and 7 p.m. on weekdays. The iconic club owner and performer is in her own category. Chris Owens has been putting on her one-woman show for decades, and it’s a live revue that spans several music genres. It’s hard to describe, so just head to Chris Owens Club & Balcony (500 Bourbon Street) and see for yourself. Once you walk past St. Ann Street you’ll start seeing the rainbow flags. The LGBTQ section of Bourbon Street has two popular dance clubs across from one another, Oz (800 Bourbon Street) and Bourbon Pub & Parade (801 Bourbon Street). Both are 24/7, with several dance floors, drag shows, DJs, and wraparound balconies for people-watching. The Pub serves as the annual headquarters of Southern Decadence. Just down the block, Cafe Lafitte in Exile (901 Bourbon Street) is also open 24/7 and hosts disco parties and karaoke nights. It’s been around since the 50s, which makes it one of the oldest gay bars in the country. Speaking of karaoke, The World Famous Cat’s Meow (701 Bourbon Street) is THE karaoke spot to be if you must indulge and don’t mind the rowdy crowd. The party atmosphere is helped by drink specials. Riding the mechanical bull is another one of the favorite pastimes on Bourbon Street, and you can try your luck at Bourbon Cowboy (241 Bourbon Street) or its sister establishment, The Swamp (516 Bourbon Street). Both have wraparound balconies overlooking the street. See what the stars have in store for you at Marie Laveau’s House of Voodoo (739 Bourbon Street). Psychic and spiritual readings are available daily starting at noon. In addition to the city and ghost tours, the Bloody Mary’s Tours office (941 Bourbon Street) also offers psychic readings.